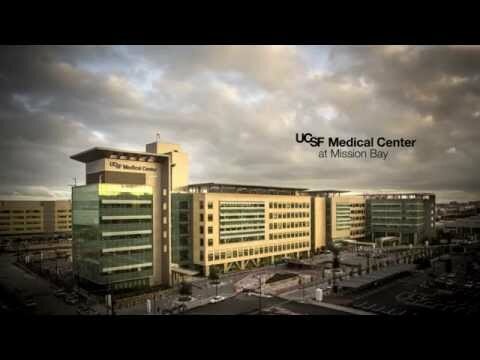 William McDonough + Partners, Stantec (formerly Anshen + Allen), and Arup recently collaborated on the new UCSF Medical Center complex at Mission Bay—the first hospital built from the ground up in San Francisco in several decades. This large complex project with an 8-year design-to-open-door life was brought in on time and on budget. The design challenge was to balance identity with the cost efficiency of shared services in construction, operational, and staffing costs. In the 878,000 square foot structure, each center of excellence is separate, but shares a platform of support services and diagnostic treatment spaces arranged along a main spine. A kaleidoscope of color of dichroic glass enlivens the building’s surface and entry to the Benioff Children’s Hospital. The women’s center and cancer center have separate entrances. Sky lobbies allow families outdoor access on patient floors, while over six acres of gardens on terraces, some accessible to patients, make it a hospitable place connected to the natural environment at every opportunity. The project supports new ways to advance health and contributes to the healing process by providing abundant connections to nature and integrating the latest research in evidence-based design with the leading edge of sustainability practices. For example, the extensive green roofs and healing gardens across the hospital complex are among the most of any urban U.S. hospital. Water conservation includes rain/stormwater collection and reuse onsite for landscape irrigation, one of the few examples of water conservation on a large urban hospital site. William McDonough + Partners conducted detailed studies of patient room daylighting and visual comfort, roof top photovoltaic layout configuration, and on site water balance strategies. By establishing clear principles, goals, strategies and metrics, and evaluating design decisions against this framework, the firm helped to focus an extensive design team and ensure the project met its goals. Form and Shape of the Building. A narrow floor plate allows for maximum daylight penetration. The perimeter has been maximized for light and views. Patient care units are configured to allow daylight and views into most nursing stations. Healthy Materials. Patient rooms include materials which have undergone scientific assessment and optimization to eliminate most known toxic elements. The team worked closely with MBDC to establish rigorous, scientific protocols for Material Health Assessments of patient room finishes, in order to ensure that every feature is designed to support healing while also meeting the high demand and performance requirements of a 24 hour facility. Indoor/Outdoor Connections. Extensive green roofs and healing gardens across the hospital complex are among the most of any urban U.S. hospital. All patients have views of landscape and gardens. Occupants have access to two dozen outdoor spaces on various levels. Water. Rain/stormwater collected and reused onsite for landscape irrigation. Planted swales collect and clean stormwater and prevent flooding. The Medical Center saves 4 million gallons of potable water each year. Energy. Green roofs lower energy use and improve comfort and air quality. Building systems are continually monitored and adjusted to control consumption. The Medical Center uses half the energy of a conventional hospital. Every year, the solar array prevents 500 tons of carbon emissions. Neighborhood. The campus provides a vital catalyst in a growing neighborhood. It is pedestrian friendly and accessible through diverse transit modes. Public Education. Educational displays promote environmental awareness. An interactive website will show real-time building performance data. Anticipate Change. A flexible design ensures long-term value.